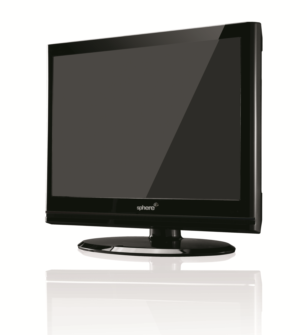 Sphere have a new range of Crystal HD LED Tv’s is thinner in design and built even tougher with a reinforced metal vesa plate built into the back of the casing. The have a stylish piano black finish and a full function remote control giving a regal charm to any RV interior. Available in 3 sizes, 18.5”, 21.5” & 23.6”. The DVD player incorporated into the Tv casing allows you to view your favourite DVD’s or photos and the USB function allows you to record rewind or pause live Tv [combined with The use of an externally powered HDD].